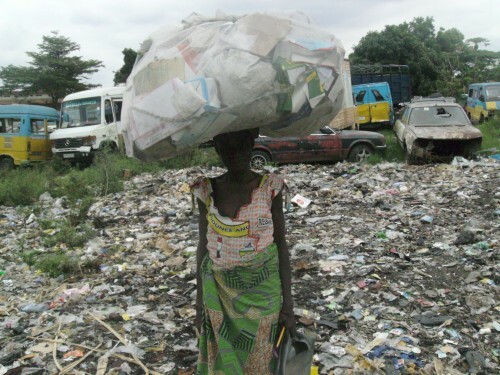 Waste picker in DRC. Photo credit: NGO Ligue pour le Droit de la Femme Congolaise. 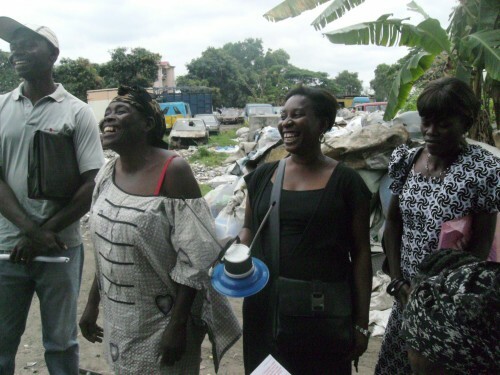 Waste pickers meeting in the DRC. Photo credit: NGO Ligue pour le Droit de la Femme Congolaise. This process started in November 2012, when for the first time, waste pickers came together to discuss the problems they were facing, and training workshops about constituency and organizing procedures were held. In this second round of training, Kapita Tuwizana, an Africa-based organizer from WIEGO, came from South Africa to run a workshop focusing on strengthening the negotiation capacities of the organization vis-a-vis municipal governments. Waste pickers at a workshop in the DRC. 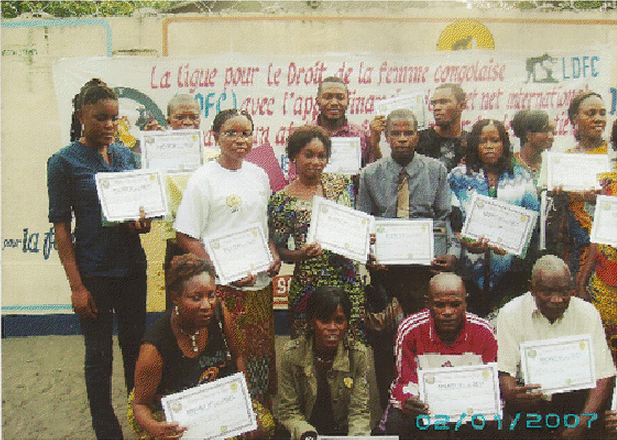 Photo credit: NGO Ligue pour le Droit de la Femme Congolaise.